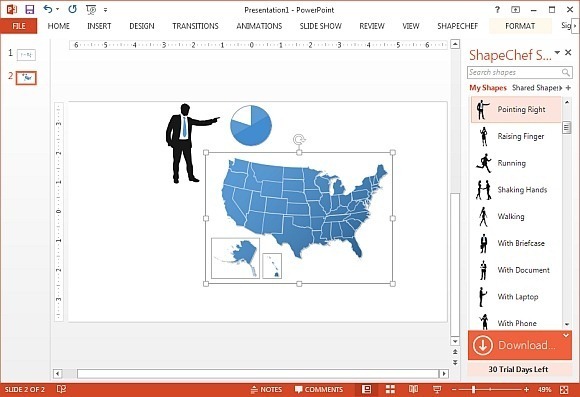 Not too long ago Microsoft killed off Office clipart. Now, the users are left to search for clipart via third party sources which can be time consuming. Another issue can be of copyrights, as many available clipart images are not available for free or are watermarked. 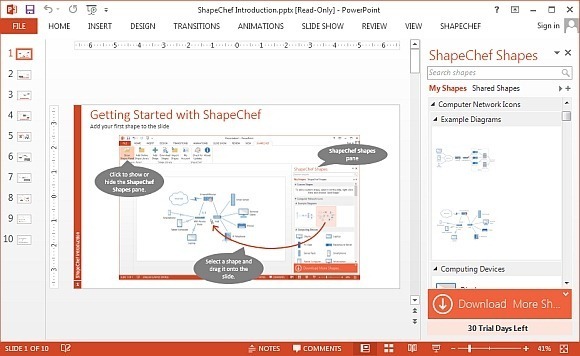 A way to get back clipart in PowerPoint is to use the ShapeChef add-in, which delivers high quality clipart and diagrams for PowerPoint. ShapeChef provides the same utility as Microsoft clipart did back in the day, i.e. 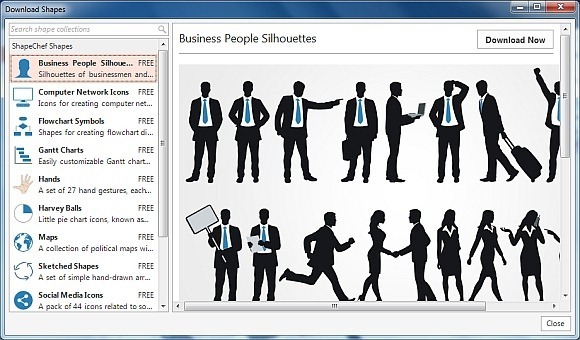 you can search out clipart and drag it to your slides. 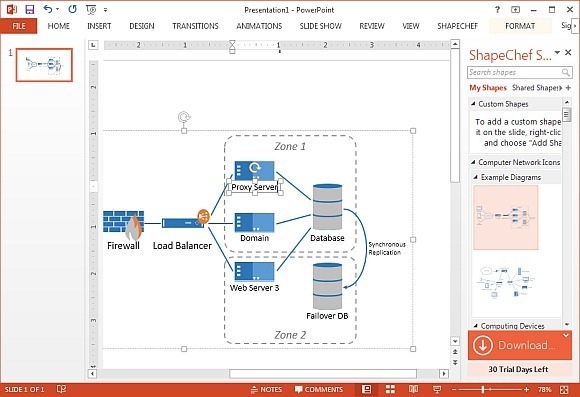 ShapeChef also provides readymade diagrams which are highly customizable. You can easily customize clipart and diagrams by dragging objects around and renaming the sample textboxes. 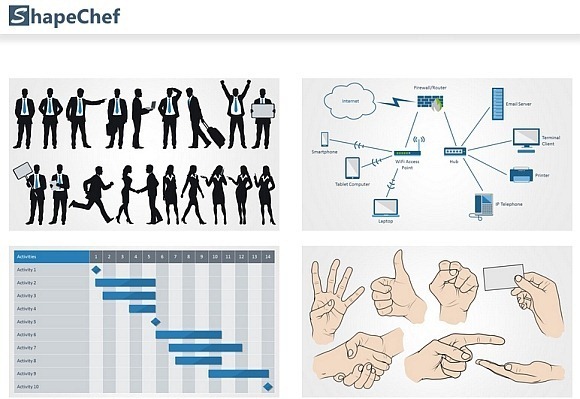 You can find diagrams and clipart related to a vast variety of topics by searching for them using the ShapeChef sidebar. This sidebar will automatically appear once the add-in is installed. When you install this add-in, some clipart libraries come by default, whereas you can add additional ones by searching for relevant content. The number of clipart libraries is always increasing based on user requests, so in no way are you limited with the available resources in the long run. The given resources can be easily customized and mixed around to create custom slides. The below image shows the various clipart from ShapeChef that we dragged to a slide to demonstrate how you can use the available clipart images in conjunction. In the below example, the map of the United States, a male clipart figure, along with a pie chart were used to create a custom slide design. All these clipart images were acquired from ShapeChef. ShapeChef is unfortunately not a free add-in, however, you can download it on a trial basis to determine its utility before making a purchase.